I was initially drawn to Anne Bonny’s sassy character but as my research progressed the darker side of her seemingly-damaged personality began to emerge. What would make a wealthy young society lady turn to a brutal life of sea-faring and crime? To dig for answers I cruised in her footsteps to an extant rice plantation on the Black River in South Carolina, the old town of Charleston, Nassau on New Providence, Jamaica, and various other Caribbean islands. Then I found myself asking what it would have been like to have roved alongside this remarkable woman. One of the primary resources for historians is A General History of the Robberies & Murders of the Most Notorious Pirates by Captain Charles Johnson (thought by many to have been a pseudonym for Daniel Defoe). He refers to an incident where Bonny allegedly “killed an English servant-maid once in her passion with a case-knife, while she looked after her father’s house; but upon further enquiry, I found this story to be groundless.” Yet the tale has endured, in some accounts with the servant-maid being merely injured. I wanted to know more about this particular victim. Why would Bonny attack her? What secrets could she have revealed about her volatile mistress? And so I decided I would tell Anne Bonny’s story – but from a very different perspective than other writers had previously tackled. My central character would be privy to her thoughts and actions, but would not necessarily be a sympathetic witness. 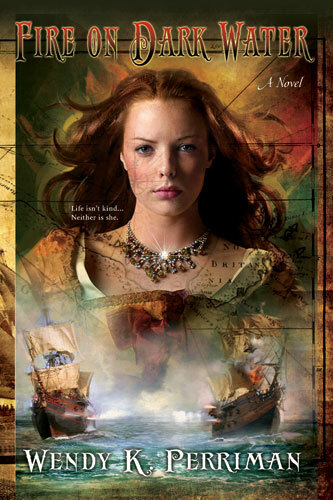 She would begin as Anne Bonny’s servant-maid – and end up married to the infamous Blackbeard!